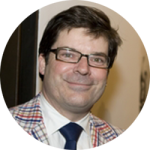 A professor in the School of Art, ANU, Chris has taught art history at the University of Melbourne and Harvard University. 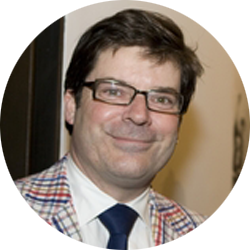 He was Director of the Ian Potter Museum of Art, University of Melbourne for thirteen years and has published widely on Australian and American art. The major art museums of New York are devoted to telling the history of art through their remarkable collections and blockbuster exhibitions. Institutions such as the Metropolitan Museum of Art, the Museum of Modern Art, the Guggenheim Museum and many others each have distinctive approaches to displaying and interpreting art. These are museums whose histories, architecture, philosophies and even personalities shape the ways in which visitors encounter and understand art. Some of the classic interpretative strategies—style, chronology, division by medium—are brought to a high pitch at the Museum of Modern Art. Elsewhere, the Guggenheim’s spiral ramp redefines the visitor’s physical passage through the story of art. New York’s museums thrive on declaring and challenging parameters. What makes an artist American?, asks the Whitney Museum of American Art. How would a focus on women artists change the story?, asks the Brooklyn Museum of Art. This lecture will explore how a museum’s history, infrastructure and layout (even its lighting and labels) shape your encounters with art.